On the face of it, Argentina are clearly the team in Group D who have the best hopes of going deep in the competition. As they can call upon perhaps the greatest player of all time, it’s not surprising they are priced at 8/1 to win the tournament with k8.com's sportbook, which makes them fifth favourites. Nothing unusual there, but Croatia, who are also in Group D, are the joint-ninth favourites at 30/1 with the same firm. While it would be an almighty shock if the Croats won the World Cup, there’s clearly an expectation they can do reasonably well. However, I’m not convinced they’ll get further than the last 16, as the runners up in this group look likely to face France next. 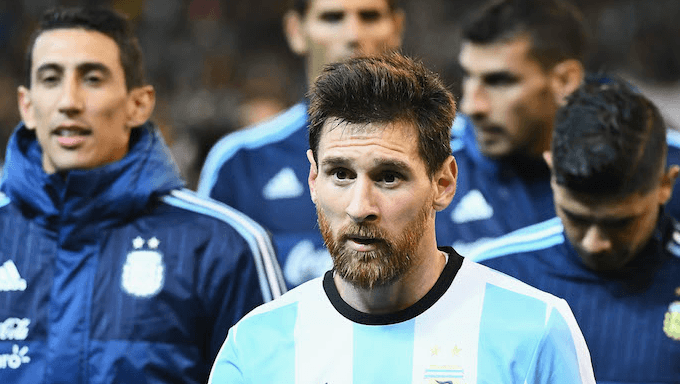 Can Croatia defeat Argentina when they meet in the second round of matches, and top the group? The leading bookies don’t think so. Jorge Sampaoli’s side are priced at 23/20 with sportnation.bet to beat Croatia, who are 16/5 to win. The nations have only met four times previously, with the only competitive meeting ending in a 1-0 win for Argentina at France ’98. I expect to see a similar score line here. There were only a total of 35 goals in Argentina’s 18 qualification matches, and 13 of the games saw fewer than 2.5 goals scored. At least one team drew a blank in 12 of them too, so there may not be many goals in Argentina’s matches, Messi or not. The other teams won’t bring goals either. Iceland scored 16 and conceded seven in their 10 qualification matches, while Croatia (who were in the same group) netted 15 goals while allowing their collective opponents just four. Iceland beat Croatia 1-0 at home while losing 2-0 away, so not only is the result of their match on June 26‌th difficult to predict, it’s also likely to be goal-light. However, a bet on fewer than 2.5 goals looks sensible, and that’s available at 4/7 with 888sport. The same firm have odds of 19/29 for a ‘no’ bet in the both teams to score market, and the form book makes that look appealing too. A general lack of goals is definite theme in this group. Nigeria only let in six goals in their 8 qualification matches, so if you see anywhere offering odds for Group D to feature the fewest goals, you could be onto something. As Argentina and Croatia look the pair most likely to advance to the last sixteen, it’s a battle between Iceland and Nigeria to avoid the wooden spoon. Their prices to finish bottom of the group are very similar, and are even identical with some bookmakers. MintBet make Iceland narrow 6/5 favourites with Nigeria priced at 5/4, but I think the African side may take the unwanted honours here. For starters, they are at least 25 places below every other team in the group in the FIFA rankings. While Heimir Hallgrímsson’s team are making their World Cup finals debut, they performed very well at the last European Championship, losing none of their first four matches and memorably knocking England out. Nigeria may have been to five previous World Cups, but they’ve won just one of the 10 games they’ve played at that level since France ‘98, and they only won one of their four away matches in qualification. The outcome of the bet may rest on the result when they face each other on June 22‌nd, but it looks to me like it’s Salisu Yusuf’s team who may end Group G in last place. When it comes to player bets, we obviously need to talk about Lionel. Senor Messi is the 9/1 favourite with NetBet to take home the Golden Boot, but I don’t think he’ll either get far enough or have the chances to score enough goals. Argentina stumbled through qualification, needing a Messi hat-trick in the final game to get to Russia, and there is likely to be a distinct lack of goals in Group D. Throw in a potential quarter final with Spain, and it’s hard to see where the Barcelona man will score the six goals which tends to be required to win the Golden Boot. Beyond him, this group can only offer the likes of Edinson Cavani (at 28/1 with netbet), Gonzalo Higuain (33/1) or Paul Dybala (40/1) and that’s before you look at any other teams. Mario Mandzukic is the shortest price from the other sides and he’s 80/1, so it looks wise to look to another group when making your Golden Boot bet.